Use the Printer Settings Editor to configure printer output for each workstation. If left unconfigured Evergreen will use the default printer set in the workstation’s operating system (Windows, OSX, Ubuntu, etc). Evergreen printing works best if you are using recent, hardware-specific printer drivers. Select Admin → Workstation Administration → Printer Settings Editor. Select the Printer Context. At a minimum set the Default context on each Evergreen workstation. Repeat the procedure for other contexts if they differ from the default (e.g. if spine labels should output to a different printer. Default: Default settings for staff client print functions (set for each workstation). Receipt: Settings for printing receipts. Label: Printer settings for spine and pocket labels. Mail: Settings for printing mailed notices (not yet active). Offline: Applies to all printing from the Offline Interface. After choosing Printer Context click Set Default Printer and Print Test Page and follow the prompts. If successful, test output will print to your chosen printer. 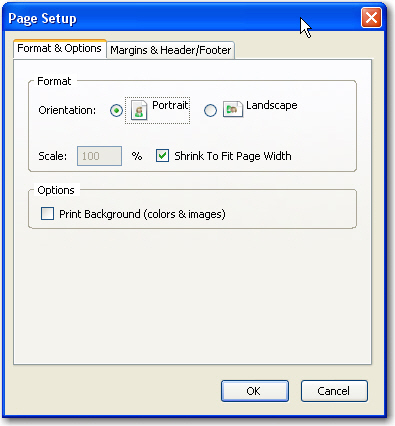 (optional) To further format or customize printed output click Page Settings and adjust settings. 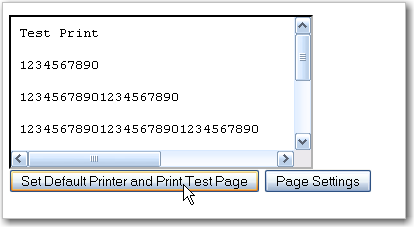 When finished click OK and print another test page to view changes. Evergreen cannot print using the Windows Generic/Text Only driver. If this driver is the only one available try one of the alternate print strategies instead.